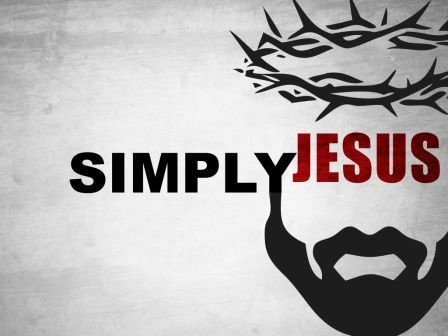 This past weekend I had a chance to live stream into a conference called, “Simply Jesus.” The Simply Jesus conference was profound and life/ministry affirming in so many ways. First of all, one of the aspects of Simply Jesus that really made an impact on me, my wife and another couple who watched the live stream with us over the weekend was the breadth and experiential range of the storytellers. It was one of those God moments where the diversity of God’s presence and the myriad of ways that the Lord acts in, loves and challenges His people were vividly displayed. In other words, there was no “boundary” on the richness of the sharing and the theological scope that was apparent in the room and during the event. The Simply Jesus team is not afraid to have Jesus shared and experienced outside of the conventional “box” that is often driven by denominational categories and theological roots. So often within denominational Christianity we end up focusing so much time and energy in only speaking to our own tribe. I see that in almost every denomination and church movement that is alive today. We end up “speaking to ourselves” and staying comfortable within our own “box,” I believe, because of fear of being exposed to something that might make us think or even question or embrace new ways of experiencing (and articulating) faith. Again, something that really was amazingly transformative about Simply Jesus is that speaker after speaker brought not only a story that affirmed a Jesus focused life but almost every one made me see something about a walk with Jesus that was “new” to my experience. I can’t even begin to summarize how many times I simply just remarked out loud…”woa, that makes me feel uncomfortable.” Spiritual discomfort is a good thing and it should be happening more and not less. It was a prophetic experience capitalizing on bringing discomfort to the comfortable and fresh perspectives to those who often find themselves spiritually and theologically stale. I believe that faith communities will only grow and discover new ways of being faithful to the Missio Dei by hearing voices and new stories from outside the bounds of conventionalism. We need not be afraid of being bold in exposing the movement’s constituents to these voices and experiences. Jesus “grows” as we see Him in other people and ministries outside of our comfort zone. Every time I heard another story this weekend, Jesus got “bigger.” That’s exactly the experience I believe we are seeking if we love and follow Jesus. When we only speak to our tribe from our tribe’s collective, agreed upon experiences our Jesus stays “small.” I know you want a “big” Jesus…and I do too! Just watched this and YES, it is good! Saturate: Church Is More than a Building from Crossway on Vimeo. I love this article! Great encouragement on worship and singing! Each week, upwards of 100 million people in America attend church, listen responsively to the sermons, and pray sincerely. But when it comes time to sing the hymns, the level of engagement drops dramatically. There are many proposed reasons for this fall off, all of which hold validity. It could be the wider culture’s waning interest in community singing, the diminishing levels of music education in the West, the role of choirs in schools, the unstable and increasingly narcissistic elements in church music, or even the spiritual state of our nation as a whole. For millennia, music has been an integral part of corporate worship. The first hymns are as old as the early books of the Bible. The disciples and early church leaders sang those songs and added some of their own. Notable thinkers throughout history (and into the current era) — everyone from Luther to Bach to John Newton — have so believed in the importance of corporate worship that they, too, contributed to the grand canon of hymns we know today. We are called to sing — indeed, the Scriptures command us more than 250 times to sing. It’s hardly one of those “controversial” issues that is hard to ascertain precisely what scripture is saying. It’s not a choice. It’s not dependent on “feeling like it.” It’s not our prerogative. Throughout biblical history, in every place and circumstance — in victory and defeat, in celebrations and festivals, in death and mourning — singing was second nature for people of faith. Indeed, the largest book of the Bible — Psalms — is itself a songbook that explores the range of human experience and interaction with God through singing. In the New Testament, Paul tells the early churches to get together and sing. In Ephesians 5, he reiterates the call of old to engage with each other in the singing of psalms, hymns, and spiritual songs, making music from the heart. Celebrating with each other is as natural as breathing. At our kid’s soccer game or when we watch football or March Madness, it’s not enough for our team to win. We want to revel in the moment and share it with others. Marking a birthday, winning a prize, or getting a raise are all incomplete until we get to share them with those we love. Similarly, for the faithful, the joy of living, of praying, of studying Scripture cannot be complete until shared. Singing together reminds us — not just intellectually, but experientially — that we are not slaves to the rugged individualism promoted by society. We’re actually responsible to one another. Singing together is a picture here on earth of the hope of heaven where every tribe, tongue, and nation will sing to God. Throughout history, God’s people have both discovered and affirmed their solidarity in times of celebration and in times of tragedy through singing. Consider again those first churches Paul was leading. They often had little in common — they were culturally different, citizens of national enemies, sometimes with different religious traditions or no tradition at all, and sometimes even lacking common language or dialect. His admonition in Ephesians is not a simplistic instruction; it was a hard thing. But, all the more is the importance of their (and our) singing together as it was an undeniable expression of their brotherhood and unity. It is a curious thing that stats may show the subject of congregational singing (or sadly, perhaps, the larger topic of church music) may have caused more splits within Christian communities than any movement since the Reformation. Singing affects how we pray, think, and feel. It influences our memory banks and even the deepest parts of our subconscious. My wife, Kristyn, and I have noticed when we sing children’s hymns in the car with our girls they actually behave better than if, say, they were watching television. At the other end of the scale, my grandfather arrived at church early on Sundays — very early. He sat in the pew, opened a hymnal, and rehearsed the songs to himself over and over. And though I was glad when we visited him, quiet reflection early on a Sunday morning was not my forte. But, many years later, when he was in his nineties and unable to remember my name or how to accomplish even the most basic tasks of daily life, he still could recite or respond to the words of those hymns. They were songs he carried for life, and they brought him considerable peace, even at one of the most difficult stages of life, because they were so deeply engrained to his being. In Deuteronomy 31, we read the instruction of the Lord to Moses to write down the words of the song he was given and to teach it to his children so that when many evils and trouble befell them, the song would be a reminder to them lest they turn away. If the songs we sing to ourselves and to each other are just of the moment, detached from Scripture and lacking in history or perspective, we’ve little to keep us moored to Truth. But when we are intentional about singing and the songs we sing, we build up a testimony that will travel with us through life. How we sing, if we sing, how passionately we sing — our singing itself — is a witness to those looking on. There is no choice in the matter. In the level of our engagement with the songs and participation in the singing, we testify to the joy of an excited believer or betray the chill of a disinterested spectator. In the New Testament, we read of Christians gathered together who so passionately expressed their faith together in song that the people looking on thought them to be drunk because that was the only explanation for their uniformed experience. Ultimately, those who may feel they are on the outside looking in will, from the deepest part of themselves, respond to authentic and passionate singing to discover the truth held in the God songs we sing. As we head to church on Sunday — as overworked dads, stressed out mums, grandparents struggling with health, and young people looking for wealth — we can, with integrity and relief, go with repentance and thanksgiving to the One who has created us, forgiven us and who lives within us. How can we not sing? It was King David who, in the aftermath of the debacle of his adultery with Bathsheba, turned to God and said, “ . . . my tongue will sing of your righteousness. Open my lips, Lord, and my mouth will declare your praise” (Psalm 51). 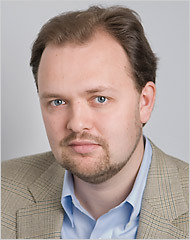 Russ Douthat from the NY Times is a marvelous editorialist. I've enjoyed reading his perspectives on politics and culture over the last few years. Today, Russ contributed to the cultural debate that is raging over the past week regarding the Religious Freedom laws. Truthfully, I had some inkling about the law in its various incarnations over the past decade or two. I do have recollection of President Clinton's words and affirmation of the RF law that he signed into law back in the 90's. Even so, the framework of the law and, as I mentioned above, its multiple manifestations around the country are now under scrutiny in a manner that was NOT an issue during Clinton's presidency. 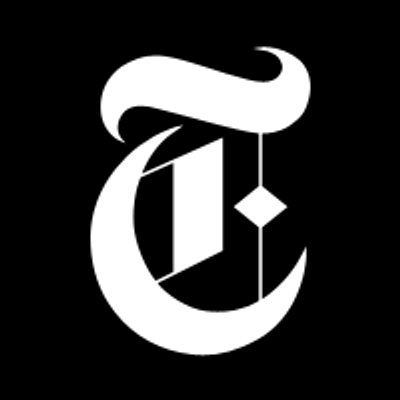 It appears to me that the cultural conversation regarding homosexuality is taking a very militant shift and I believe Mr. Douthat has raised some necessary questions that highlight that shift. What I'm seeing is not just a growing apathy regarding religious issues and affiliation within our contemporary culture (which many of us have seen growing exponentially over the past decade or two as pluralism and secularism continues to flourish) but a heightening of hostilities. My perceptions are just that…perceptions. I don't claim to have a conclusive "take" on cultural or cultural conversation. I am a student of culture but by no means an expert. Yet, I am noticing what appears to be a deliberate pairing of TWO words within cultural deliberation as of late – I'm seeing the conflation of the words, "religious" and "discriminatory/discrimination." In other words, it appears to me that there are many "forces" (and believe me, I'm not some sort of conspiracy nut job) within culture that are working overtime to insure that any time religion or religious people or principles are discussed within culture that the concepts of moral and societal discrimination immediately come to mind. For me, it is one thing to disagree with people of faith or people of a religiously informed worldview, it is a VAST difference to move beyond disagreement and continue to polarize or demonize those who don't cooperate with rapidly changing societal "norms." As Mr. Douthat states in his article, there are many disturbing implications of the current conversation regarding the Indiana (and other states) law on Religious Freedom. As I said, it appears that NOW anytime a religious stance is being taken in our society, that the conversation has changed from "I disagree with you" to the accusation of "you are a bigot." Frankly, that one change alone is concerning and alarming. To be sure, the equating or melding of the words, "religious" and "bigoted," can and has been seen as reality in some cases (in my world those instances are extremely rare). In the past (and I'm sure even in the present) there are glaring and shameful examples of that type of behavior. Yet, make no mistake about it, it is NOT a Christian principle to hate any one no matter their behavior or lifestyle. It has happened but it is not what should be happening according to any fair and/or thorough reflection on what many of us believe are the core tenets of Christian ethical imperatives. Even so, what's shocking to me is how intentional some aspects of our society are being in working overtime to convince everyone that IF you are religious you are automatically viewed by the rest of culture as bigoted or discriminatory. Believe me, there are those in culture who KNOW that if they can brand all religious people as bigots or discriminatory then they are close to winning the day. No one likes discrimination and if religious people and institutions are seen as discriminatory…if religious people and institutions become conceptually paired with Jim Crow and discriminatory/racist behavior of a tragic past, that will be one way that religious people and institutions will be publicly humiliated and harassed into submission. It is one way that many who are adherents to a more "liberal" perspective on gay marriage change the conversation from being one of acceptance of variety of opinion, interpretation and action to one of societal coercion. I, for one, really do believe that NO ONE accepts bigotry. And further I believe that NO ONE accepts discrimination (at least from a Christian perspective). 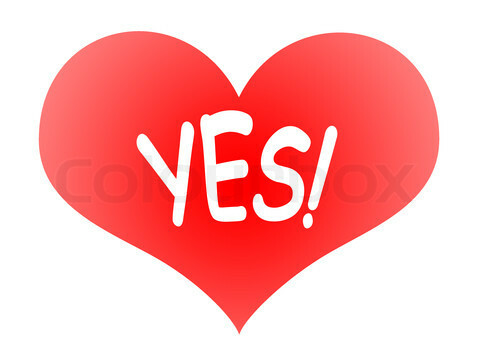 Even so, it appears now that IF a person stands for traditional marriage and does not affirm by action and permissive affirmation within every circle of life (including their own) a different agenda that they will be branded as discriminatory or bigoted as a means of shaming them into acquiescence. Believe me, Mr. Douthat is much more articulate and thorough in his analysis than I can ever dream of being. His seven questions are very important questions for consideration. IF the "state" can force some one like me to do something contrary to my personal beliefs by threats of lawsuit, cultural ostracization or taxation, we have more than "shifted" in our view of freedom…we then become a totalitarian society where perceived non-acceptable worldviews are punished to the point where they are silenced. For me, I know that my views of the gay marriage issue are not the same as some of my colleagues and friends. I have friends who are as "religious" as I am…I admire and respect them…I love them as brothers and sisters in the faith. Even so, I cannot agree with them…my view and their view of the bible, the exegesis and interpretation of critical biblical passages, theology and practice don't line up. That's OK by me. I'm not saying to any of my friends that they are going to "burn in hell" or that they are going to face my condemnation based upon our disagreement. My practice for decades has been to prayerfully release my tendency to want to play God. Everyone, including myself, will stand before a holy God one day and we will be held accountable for our faith and practice. I don't need to or want to judge because that is GOD'S prerogative. Thank God there still appears to be room within religious circles to disagree and allow every person of faith to take responsibility for their positions. There are great debates going on even I as write this…I read those debates and follow them carefully. I'm glad they are going on. As I said, I may not agree with them but I am still called by my faith to embrace them and their viewpoints as fellow members of the Body of Christ. And I expect the same from them. What has changed is what's going on in culture. In a growing secular world we have taken the concept of separation of "church and state" to the point where it has shifted to some people's desire to see a condemnation of the church by the state. If that comes to be it will be one more way for the "many" to usher in and force the issue on what they consider to be their moral and ethical non-negotiables. "No doubt others could add more questions to the list, but that seems like decent range to me. Again, I’m genuinely interested in the answers, and not just for the sake of putting people on the record or playing some kind of “follow the logic” game. At the very least, I think liberals would benefit from recognizing that the current thinking of religious conservatives, in the RFRA debate and elsewhere, is shaped not only by these kind of specific fears but by a near-total uncertainty about what happens after this, and after that, and so on. And given how the ground has shifted recently, I think there would be real benefits for both sides to having more people on the left and center-left taking explicit positions on where we might and ought to go from here."